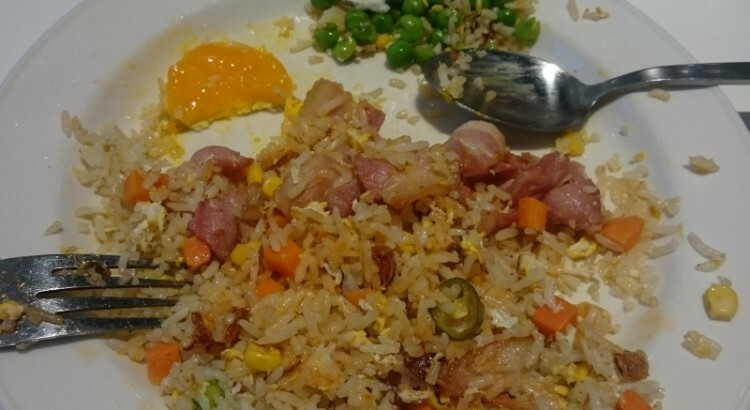 No, this is not a food review though I have to say that I kind of like Hans bacon fried rice. Lao Beng loves bacon!! 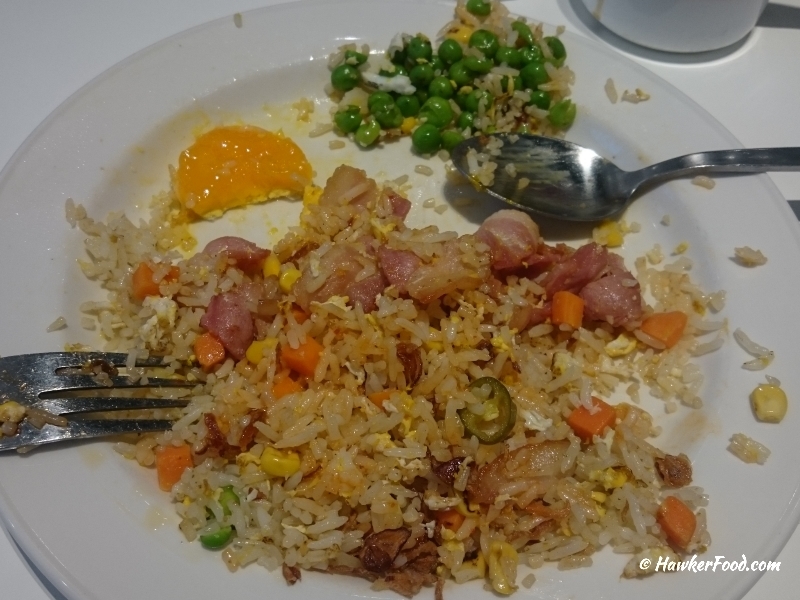 Since young, I have always filtered out peas whenever I find them in the food that I eat. I dislike the taste of peas and do not like biting them. The strange thing however is that I am okay with eating peas found in “Kacang Puteh” which is an old-school snack of an assortment of nuts and crackers. 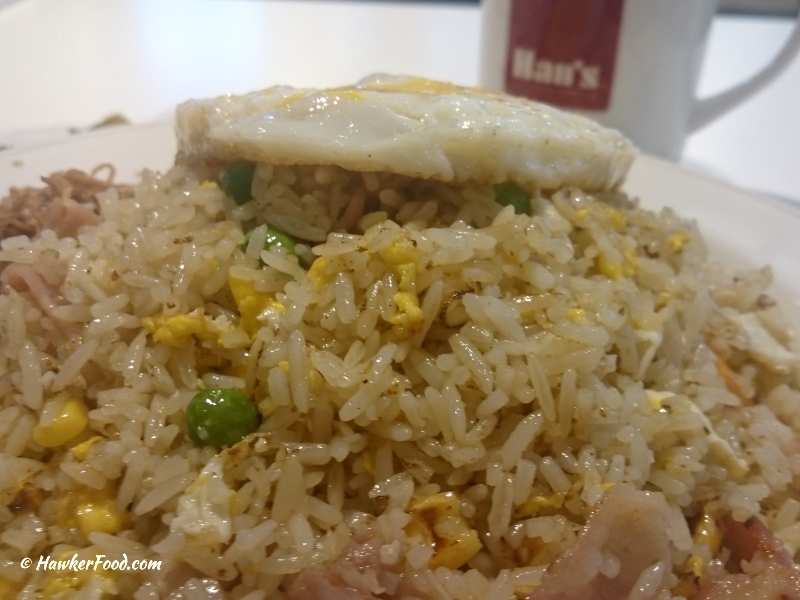 So here I was enjoying my lovely bacon fried rice and at the same time filtering out the green peas. It is important to inculcate good eating habits when young but it was none of my parents’ fault that I do not eat peas. They did after all make me eat the important vegetables just that I was too much of a picky eater and would throw a tantrum if being forced upon. Rich in Vitamins – Peas are rich in Vitamins A, B-complex, C and K.
High Fiber and Heart Health – Peas are high in fiber and eating peas can help to meet your daily fiber intake. It also helps to keep you full throughout the day, this prevents you from snacking. It is a worthy mention that the high fiber content also helps to lower blood cholesterol level, thereby improving heart health. Low Glycemic Index – Due to its low glycemic index, peas are a good source of food for diabetics. The fiber and protein found in peas help to control the digestion process which keeps blood sugar levels stable. Iron is important for the proper function of your body and it also strengthens your immune system. Zinc aids in cell growth and helps to heal wounds properly. It also improves your sensory perception. Potassium and Magnesium aid in regulating the heartbeat, help to lower blood pressure, and improve both nerve and muscle functions. Amino Acids – Peas contain amino acids and this aid in muscle recovery after your workout. Protector of your Eyes – Lutein is an antioxidant found in peas and its antioxidant values may help to prevent cataracts. The above information is what I found on the internet and it may not be exhaustive. I also do not guarantee the information is 100% accurate. At the end of the day, to pea or not to pea will be a question for those who dislike peas. For pea lovers, as with all things, moderation is also key in maintaining your health, so please do not overload on peas. Well, as for me, I guess I will just pop supplements for now………………….